To cultivate ideas that will have powerful marketplace impact for our clients. 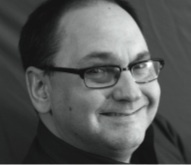 Mark has 30 years of experience in the communications industry. 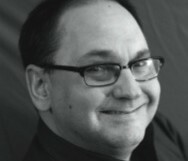 His core area of expertise is founded in media and message context strategy. Mark has leveraged his deep media background to develop a unique strategist’s perspective of consumers and brands, helping clients solve challenging marketing problems in Marketing, Advertising, and Business Growth areas. At Insight Garden, Mark has led the charge on media efforts for many agency clients, helping secure and elevate communications work for brands like ComEd, BCBS, PowerShares, Bibby Financial Services, SurePayroll.com, Quill.com, AeroMexico, Harris Bank, Tampico, Circuit City, Lowe’s (Valspar Paint), Garmin International, Aunt Jemima and Norwegian American Hospital among others. Mark also is involved on pro bono and civic projects with municipalities, colleges and churches. He is currently on the Board of Directors for the Whiting-Robertsdale Chamber of Commerce. Mark’s career spanned many years at FCB, Chicago where he led the Kraft media team for seven years, managing more than 30 brands over the years, billing from $60 to $150 million a year. Kraft brands Mark managed spanned the Pizza division, including DiGiorno’s introduction and Tombstone, the Dinners division, including Kraft Macaroni & Cheese and the introductions of EZ Mac and Stove Top Oven Classics and many brands in the cheese, snacks and enhancers divisions. During his FCB years, Mark also led media and strategy development for John Deere, Circuit City and Blue Cross Blue Shield of Florida. Mark’s efforts leading the BCBSF team culminated in an FCB award for excellence in integrated marketing. Other responsibilities included FCB’s Growth Group as an intellectual capital creator, FCBi’s media team managing 20+ e-commerce brands and Coors brands including new product introductions, winning awards for his work on Louis Rich, Keystone Beer and Zima Clearmalt. Mark touched several other brands over the years including SC Johnson, Alka-Seltzer Plus and First Chicago.